Swedish bus maker, Scania Commercial Vehicles India (SCVI), has delivered new buses to APSRTC. 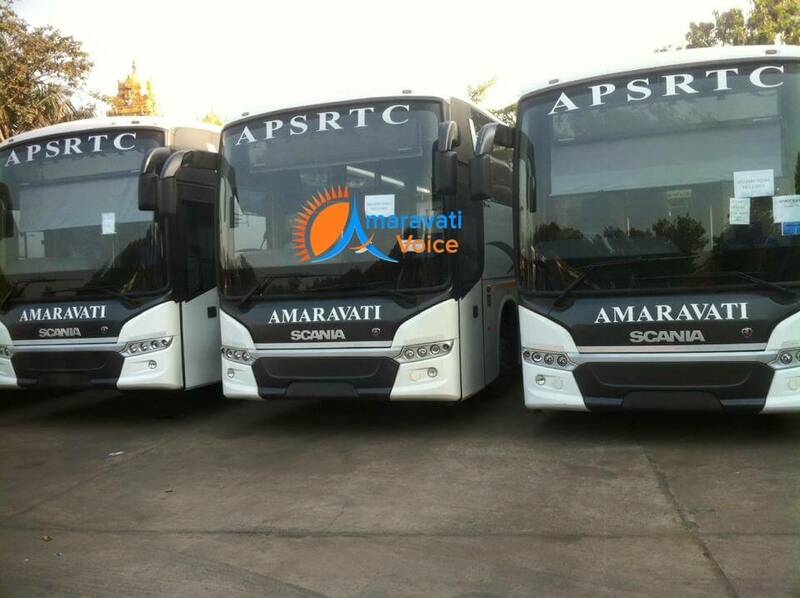 To Promote Amaravati, the new capital of Andhra Pradesh, these high-end buses are name after "Amaravati" by Andhra Pradesh Road Transport Corporation (APSRTC). APSRTC have ordered 40 new Scania Buses, two months back. Around 6 buses has reached Vijayawada Garage and remaining buses are expected to reach within a weeks’ time. All these buses would be inaugurated by Chief Minister, Nara Chandrababu Naidu. These buses are scheduled to run to Hyderabad, Bangalore, Chennai and other major cities. The buses are packed with uncompromised safety features such as Fleet Management System (FMS), fire detection and suppression system, speed limit compliant to state regulations, six emergency exits with twelve hammers, emergency doors. Launched in February 2013, the Scania Metrolink range introduced the multi-purpose coaches for medium and long distance travel in the Indian market. The buses are already present in states of Maharashtra, Karnataka and Kerala, and have received warm response from customers and passengers, states the company.